When all else fails or falls away, faith, hope, and love will remain. This beloved quote comes from the Biblical book of 1st Corinthians where the apostle Paul teaches the church that even when everything else fails, love never fails. 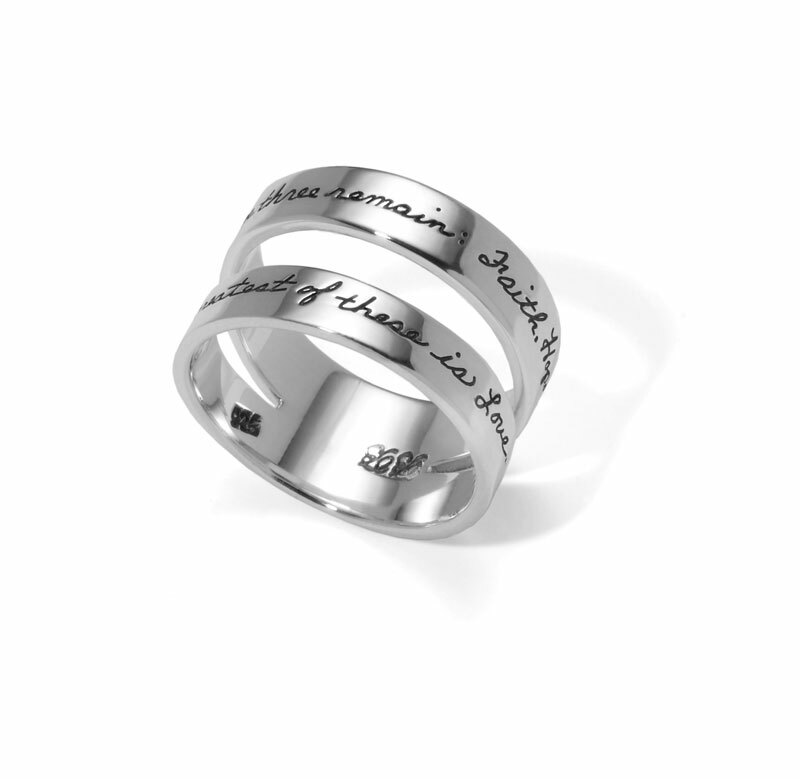 This ring makes a wonderful inspirational gift for anyone who needs hope.